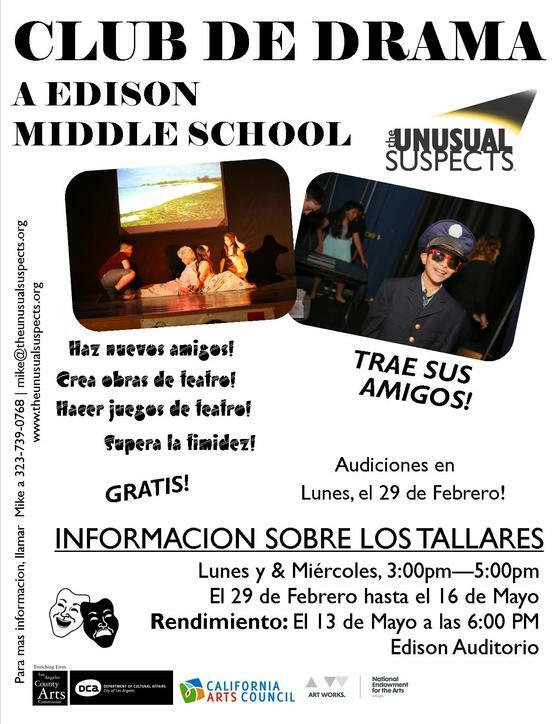 The Unusual Suspects Theatre Company strives to empower youth with the means and methods necessary to explore personal and social conflicts and develop self-esteem, communication and coping skills to make positive life choices and become productive members of the community. 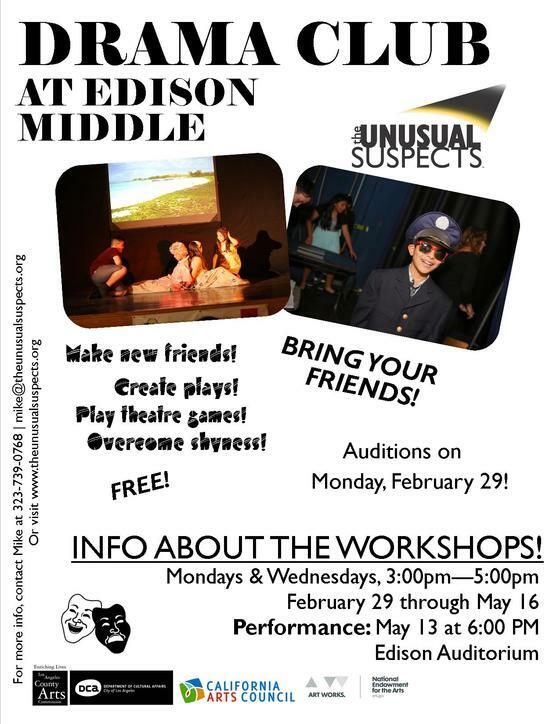 At Edison, the Unusual Suspects offers a 10-week fall playwriting workshop where students learn how to structure a script, develop a character, and use improvisation. This workshop culminates in a public staged reading of the students' original play by professional actors! We also offer a 10-week spring performance workshop where students focus on acting, design, and the creation of an ensemble. This workshop culminates in a fully staged production of an original work written during the previous Playwriting workshop. Our programs are shown to help students do better in school, develop confidence and public-speaking skills, improve social skills, make friends, and most importantly, have lots of fun!